Dr. Kristine Matson, MD paid a visit to my office (AKA the GBM) this morning and I twisted her arm into posing for a photo (assisted by Ann Etter) with a copy of last Saturday’s Northfield News. She’s featured in a front page article of the paper, Physician’s study of Northfield heroin users offers glimpse into their world. For the first time, a study of local heroin addicts — all in treatment — takes a look inside their lives: When they began using drugs, how they got into heroin, who their influences were and why they decided to get treatment. Northfield physician Kristine Matson conducted the study. And though the number of subjects was small, Matson believes there is much to be learned from her research. Today’s paper has a follow-up article, Heroin reaching new group of users, featuring Dr. Charles Reznikoff, Addiction Medicine Specialist, Opiate Agonist Therapy (OAT) Clinic at the Northfield Hospital. 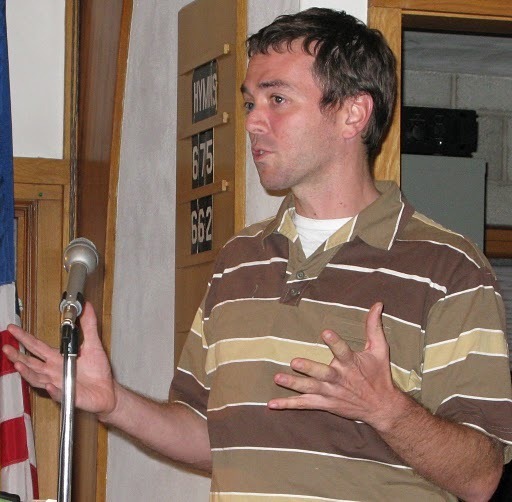 The photo of him is from the Moravian Church town hall forum on heroin back in Nov. 2008. Six months ago, Charles Reznikoff’s Northfield patients fell into two specific groups: Those in treatment for addiction to prescription pain medications and a cohort of 25- to 27-year olds and their siblings being treated for heroin abuse. By the first of the year, Reznikoff was dealing with another cohort of patients: Teenage heroin addicts with no connection to what the opiate addiction specialist often refers to as the 84-85ers. It’s a change that troubles the physician who works part-time in the city’s Northfield Hospital clinic. Previous PostMary Rossing to close Present Perfect, lease space to Coldwell Banker South MetroNext PostLeif Knecht turns 60; loses it. Get a free tree and a cupcake, then run. Dr. Charles Reznikoff was interviewed on MPR yesterday morning. Abuse of the street drug heroin is a growing concern for state health officials. The Minnesota Department of Human Services reports that treatment for heroin addiction has been on the rise for the last decade. The town of Northfield drew a lot of attention a few years ago when the former police chief said that hundreds of young people in that community were using heroin. 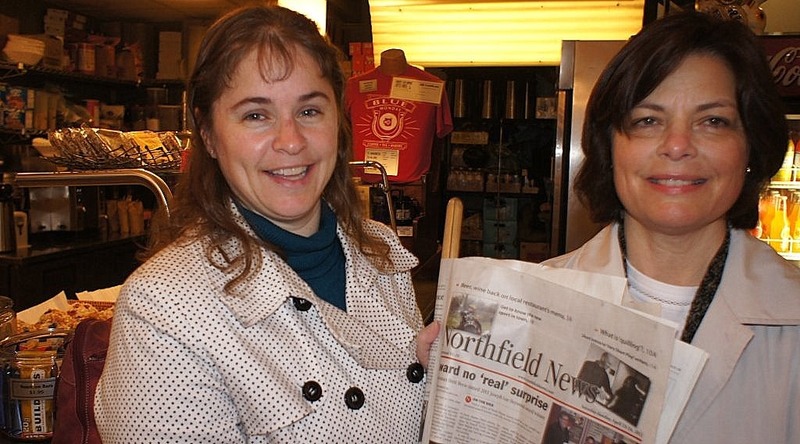 The Northfield News is revisiting the issue with a series of stories. One of the people featured in that coverage is Dr. Charlie Reznikoff. He works at Northfield Hospital and Hennepin County Medical Center as an addiction specialist. MPR’s Cathy Wurzer spoke with Dr. Reznikoff about what’s causing the drug to show up in Northfield and across the state. The deaths are the eighth and ninth in northern Rice County attributed to an overdose of opiates since January 2006. Northfield Deputy Police Chief Chuck Walerius said that while the investigations into who supplied the heroin to both men is continuing, investigations such as these can take time and often take detectives in any number of directions simultaneously. I like this guy. He’s right on the nose. Northfields reputaion doesn’t mean a thing if our kids are ruining their future, and dying.We must shift focus to this problem now, at least as much attention should be given it year round as is given saving old buildings and DJJD. At least as many people should be involved in supporting the recovering addict in their quest for a new life. If not, our “reputation” is already in the toilet (with The One who’ll decide our eternity).